1. Go to Sunwing's website. 3. Search for a flight from Calgary to Cancun, Mexico. The following AirBNB link will lead you to some great deals on places to stay around Cancun for under $99 CAD/night for 2 people. You could also try VRBO, which is showing quite a few properties for under $80 USD/night. Just run a search for Cancun when you get there. After you hit Search you can apply the price filter. 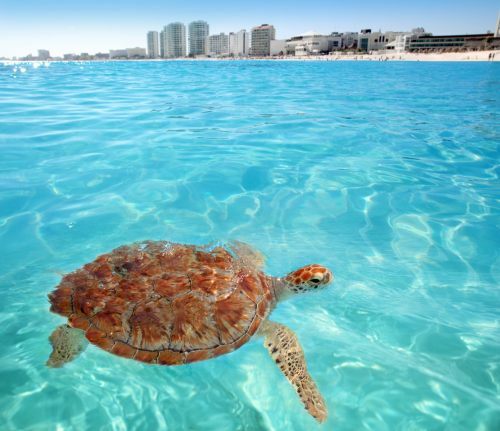 calgary, yyc, flight deals, mexico, sunwing, cancun, cun and north america. 5 Responses to "Calgary to Cancun, Mexico - $390 CAD roundtrip including taxes"
Jen, this just means that the cheaper price has sold out. Sometimes websites have issues where they still display the cheaper price after it has sold out. I can confirm that they were indeed $390 on the final price page at one point. I always check to make sure.